Three goals in six second-half minutes saved Birmingham City from a shock FA Cup Third Round exit at non-league Blyth Spartans, but Blues manager Gary Rowett insists he did not give his side a half-time rocket to inspire the fightback. The Championship outfit were facing the prospect of being dumped out of the competition after the Northern Premier League side secured a 2-0 advantage at the break. But in a ruthless spell, the Blues showed their class to net three times between the 52nd and 58th minute; Lee Novak pulling one back before a Wesley Thomas brace. The devastating comeback broke Blyth hearts and sent Birmingham into the Fourth Round of the cup. While Blues upped their game in the second period, Rowett says that things remained constructive and positive during the half-time team talk. He said: “I didn’t give the boys a rocket at half time and I didn’t throw anything around. It was all quite positive and calm. “I felt we needed to simplify the game a bit more in the second half and I thought our desire would come through, which it did. 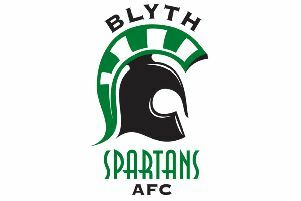 Blyth grabbed a dream 2-0 lead thanks to a brace from Robert Dale, who first turned in a Jarrett Rivers cross before firing in to the far corner for his second six minutes later. While the Croft Park side could not ram home their half-time advantage, they more than matched Birmingham throughout the game and could have pinched an equaliser late on. Rowett said: “I thought Blyth were brilliant today and this sort of a game is what the cup is all about.